Mike: So, Vít, welcome to the show. It’s really good to a have you, this has been a very interesting subject that we’ve been thinking about since we first saw you speak in Bucharest, Romania. Since then, [00:02:30] we’ve seen you at D10E in Puerto Rico, we’re just really interested to hear what it’s like as the president of a brand-new country. Vít: It’s pretty cool to have almost half a million people behind your back when you’re doing something, whatever it is. I think it’s also a pretty good time to start new countries. We will see a lot of this coming up, not just Liberland but there will be lots of competition from different aspects, not just [00:03:00] completely pure sovereign states like Liberland but also a lot of free trade zones. There is a [inaudible [0:03:05] institute going. It’s a very exciting time to do these things and now there is enough will to do it, there is enough open-mindedness, also enough money because of this crypto frenzy and all the people that are not just thinking about money but also about more freedom in general. Mike: I think a lot of people probably assume that finding new, fresh, [00:03:30] unclaimed land is an impossibility in this day and age. How is it that you actually found this unclaimed territory and claimed it for yourself and for Liberland? Vít: Well, that wasn’t that difficult. Basically, we just go on Google and you Google ‘no man’s land’. We found a piece of land between Croatia and Serbia that was unclaimed by either country for more than 26 years. Right after, I thought, “That’s a great opportunity, [00:04:00] let’s claim it on the first good date.” Which apparently was the 13th of April 2015, which was the birthday of Thomas Jefferson. We came there, we stuck the flag, and it was enormously well received not just by alternative but especially by mainstream media all around the world, which was a pretty exciting time at the time. Just the first week alone brought us some 250,000 emails which went to our mailboxes, [00:04:30] which was a completely unexpected amount of interest in being part of a new country. Mike: I still find this to be just so fascinating that you had the confidence and the wherewithal to even attempt something like this and the surrounding countries just have no problem with it and let you go forward. How was the response from other countries? Vít: The great, unexpected response from Serbia was – and Serbia, by the way, is the only known previous owner of this piece of land, [00:05:00] it used to be part of Yugoslavia but it was part of Serbia at the time. Right after the breakup of the two countries, basically Serbia left it and they also deleted all information about it. Serbia stated they don’t mind created of Liberland, it doesn’t belong to the territory of Serbian Republic, which was pretty amazing only 11 days after Liberland started. Croatia, they said we are [inaudible [0:05:26] a joke and we should be treated as such, but [00:05:30] it took them just a couple of days to realize we are not [inaudible [0:05:31] a joke, we’re actually serious in what we are doing. They had a lot of talks internally about Liberland, they kept saying we are [inaudible [0:05:41] a joke but they actually put a lot of police around the territory of Liberland, as well, which was interesting to see. Now, they claim that Liberland is not theirs but it’s also so subject to claim by a third party, which is a very interesting situation in which some country says something [00:06:00] that doesn’t belong to them cannot be claimed by somebody else. We’re in a stalemate in terms of relations with Croatia but we’re doing very well in terms of relations with the rest of the world. We got Liberland recognized by Somaliland, which is an interested country, very I would say secure and prosperous in Africa, which us unrecognized by anybody but is working completely fine, [00:06:30] almost for the same time like Liberland was unclaimed. It’s a country double the size of the UK with five million people living in it and it was a very good experience for us also to understand how do they function without being completely recognized, because we wanted to have that experience and we also wanted to have something that we could help them with. I think those are the first good partners. We’ve got now a number of countries lined up that are interested in recognizing Liberland and I’m very excited [00:07:00] about that process going on already. Euvie: What sort of formal structures do you hope to set up for Liberland and what kind of formal structures do you think are unnecessary? Vít: I think the traditional democracy is failing us. We can see that, especially how the campaigns are now being hold, politicians don’t really have any idea, they’re just pushing their agenda forward through marketing agencies. They are actually doing what [00:07:30] the marketing agencies tell them. It’s not really about pushing some opinion through, it’s just about manipulating masses all the time. We see that as something which is not working. Also, a lot of countries have Republic in the name but we can see that it’s no longer a Republic because the constitutions are not really being followed. Let’s look into the United States where the war should be declared by the congress and not by the president. Republic is actually really about [00:08:00] not majority ruling over the rest of the society but a constitution ruling over the whole society, which is I think a good concept but not too well followed lately globally. Liberland is actually taking a piece of every good governance system there is, but Liberland is not about governance per se, it’s about freedom. We are trying to give maximum amount of freedom to everybody living in our society, that’s the imperative that we are pushing forward. [00:08:30] We are taking a little bit of Republic, that means there will be a strict set of rules what the state can and cannot do. Let’s say, it can only organize security, justice, and diplomacy, that’s what we decided for that are the basic roles of state. It will be a little bit of democracy, because the majority of people will be able to veto the decisions by the government. And the government will be actually composed of all the shareholders that made Liberland possible. [00:09:00] I’m not just talking about shareholders, but I mean the people actually that pay taxes. We are innovating a concept of taxation in Liberland, which I believe is the most important innovation that Liberland is bringing to the stage of governance. Whenever you are paying taxes, which are completely voluntary by the way, you are always becoming a shareholder of the country that you are living in. That’s a fundamental change in the structure of taxation. In the country today, [00:09:30] when you pay taxes nobody even says, “Thank you,” for whatever you pay. In Liberland, you always get a piece of the country that you are a part of, which I think is a much more healthier system that we have today. Of course, we are already seeing a lot of innovation, for example, [inaudible [0:09:51] is very successful in it’s governance model. We’re trying to implement the latest technologies and blockchain technologies for Liberland [00:10:00] governance. Liberland will be actually a dowel or decentralized, first decentralized autonomous government. Euvie: That’s very interesting. You said that the people who voluntarily pay taxes get to own a part of Liberland – in what form? Is it like a dividend? Do they have ownership of the land? Do they get a part of the profits? How does it work? Vít: They get the basically share of the country itself. We are actually combining our cryptocurrency [00:10:30] with our token, which is representing a share in Liberland. Our token is called Merit. Anybody that contributed to the creation of Liberland so far got Merits on their accounts. We will very soon tokenize these Merits, we are planning to do it for the third anniversary. The idea is basically when you want to pay taxes with this cryptocurrency, you lock it in a smart contract in a way that you cannot spend more than 10 percent a year in the future out of this. [00:11:00] The same thing applies for the government itself. The funding for the government comes from this smart contract which only unlocks 10 percent of the tokens a year, which I think builds up a very good ecosystem which removes the obligatory taxation and allows anybody to become a shareholder of Liberland through simply locking the currency that they’re holding. It’s not really inspired by anything out there [00:11:30] right now, not even in the dowel ecosystem, but this is a system which we came up with through the discussion that we had about Liberland for more than two years now. Euvie: Which technology are you planning to base it on? Because there’s some different blockchains out there, obviously. Vít: Right now, we would love to start our own autonomous blockchain for this, which would combine anonymity and the smart contracts, which is something planned [00:12:00] for the summer. Right now, I think we will turn to Ethereum and [inaudible [0:12:04] tokens for this first round. The vision is out there, we’ve got some technological partners for new generation of smart contract blockchain that we would love to be actually running ourselves, and the citizens could become a master node in the system that we are putting together. Mike: Wow, really cool. Are you already printing [00:12:30] passports for people? If so, can you travel around on a Liberland passport? Vít: Right now, we are only giving passports to the people that are representing us globally, our diplomatic core. We will soon also start giving out passports to regular citizens. These passports are much better respected, or I would say recognized, than we were expecting at the beginning. I’ve been able to travel with it [00:13:00] to a number of countries. We found out that, of course, the countries that are inviting me in an official capacity do recognize it, that there is no big protocol around recognition of passports mutually. It’s really about more of a good will than any kind of special paper read between the states, which is exciting. I was able to also get a couple of visas already on this passport, which basically says that Liberland as an entity is well [00:13:30] internationally recognized, at least in a large part of the third world. Euvie: That’s amazing and actually very surprising. I wouldn’t think that that would be the case. Which, if you don’t mind and if they don’t mind revealing, which countries actually were able to let you in on the Liberland passport alone? Vít: Right now, I don’t like to reveal them because it can also create some backlash in those countries. I got, for example, diplomatic visa, of course, in Somaliland where we came to visit but also in Kenya [00:14:00] where were just passing though. That’s already a very well recognized country, which is respected in African community. I’ve got some more stamps from different border crossings while I was traveling. Euvie: Are you planning to also create some sort of digital identity? Perhaps blockchain based identity that people can use? Vít: We’re already partnering with uPort. We are actually implementing their basic systems. [00:14:30] We only need to do KYC, for example, for our citizens once and we can use that KYC from other providers and uPort is a great way to make sure that we don’t have to double check the people. Identify basically is now pushed forward by uPort is something that we are implementing into our systems. We are also working on implementing AI system to recognize people, their faces, if they apply for citizenship so we can [00:15:00] compare it with their documents. That’s one of the projects, as well, you don’t need extra people to do that. Our e-residency basically will be a very easy to use, very fast to set up. We are going to make sure the e-residents are not people with criminal background or they are not laundering money. It’s one of our priorities. Euvie: Are there a specific type of person that you want attract to Liberland? Do you see a vision for it being like a centre of commerce? What do you envision the economy [00:15:30] of Liberland looking like? Vít: It’s already based on crypto. I would say we are the first purely crypto country in a way. 90 percent of people that are active in Liberland are also active in the cryptocurrency field, which is very exciting. I think we already have multiple billion-dollar business around Liberland in terms of crypto payments and crypto solutions. I’m also excited that many big crypto companies are moving [00:16:00] their residency, their tax residency to Liberland. Mike: What are some unexpected problems that you’ve had in setting up Liberland? Vít: Of course, [inaudible [0:16:10] of setting up an organization the biggest problem is to basically have a very good metric of people that you can trust and you can rely on. When things are growing are so fast, that must be your biggest concern. Right now, I think we have overcome these early problems and we’ve got a very good network, a very stable government, [00:16:30] and the network of 100 representatives around the world. Which makes us a well-represented country if you consider that other, let’s say Croatia for example, has less consulates or less representative offices than we do by now. I’m happy that the network has stabilized and that we are no longer having personal issues with different people representing us for quite some time. That tells you that we [00:17:00] also needed a little bit more time to actually build this network. Mike: How do you see Liberland standing out in the next, say, 10 to 20 years compared to other countries? What is the unique thing that Liberland will offer its citizens? Vít: We’re always going to be ultimately the freest country on the plant. That is something which is hard to compete with. We’re never going to impose obligatory taxes, we are never going to impose [00:17:30] any crazy regulations that would be over-restricting our citizens. We’re just going to try to stick with the basic set of rules, which will allow us to be recognizable by the rest of the world, which is something, of course, which is always difficult to eliminate. But I think we are doing, so far, a good job on it. We will have a legal discussion also as part of this D10E conference, which will be focused just [00:18:00] on that. Euvie: Are you noticing that there’s a certain culture starting to develop around Liberland? We’ve talked about structure, obviously, but what about the more human aspects of it? Vít: There is a lot of cultural things going on this year in Liberland, as well. We are going to have a festival in August which will be a kind of Liberland Burning Man. I’m happy to attract these kind of people to Liberland, as well. There will be a theatre happening, [00:18:30] somebody from Germany is coming down the river and they will stop by. We will have a lot of concerts, I think almost on a weekly basis on the boat that is going to be [inaudible [0:18:41] placed in Liberland. There will be lots of cultural events. Let me just, for example, mention that right now we’ve got some 10 different national anthems. The creativity of Liberland citizens is pretty big. One of those anthems was composed by [00:19:00] a famous Czech composer, the other one was composed by a pianist in New York. There was another national song composed by a Swedish artist. It’s a lot of creativity and a lot of creative talents from around the world that are gathering around Liberland. Euvie: Yeah, my question was about the physical presence. On one hand, I understand that having a physical presence makes you vulnerable [00:19:30] to, say, countries invading or threatening the order of things and making it a decentralized country that exists as a dowel on the internet, it makes it anti-fragile in a way. But nonetheless, are you planning to have a physical settlement or settlements where people actually live permanently? Vít: People will be able to live on a boat which can host 100 people there for different events. We already have a couple of house boats and some seven other boats that people can use if they come to Liberland. [00:20:00] The only access to visit Liberland is now through the river from Serbia or from Hungary. That’s why we have this boat settlement there. It’s a very nice set of events that are going to happen this year. Very romantic, very nice nature. A lot of sandy beaches on [inaudible [0:20:17]. It’s a great social experience, as well. On the other hand, we are decentralized in the sense that we don’t really care where else Liberland can be [00:20:30] setup. We are open to any suggestions. We’ve got a list of islands in very friendly jurisdictions that we are considering that could be occupied, as well. Right now, in Honduras where we could work with the city zones possibly or we can look into other Caribbean tax-free countries where Liberland communities can be developed and people could get residence there and we could get direct contact with the government [00:21:00] and maybe develop our own free trade zone that would be very crypto friendly. There are all these options how Liberland can expand. This is going to be the major topic for the D10E conference that will happen in two weeks in Liberland. It’s going to be very exciting, I’m looking forward. Euvie: What are some of the challenges that you anticipate having in the future as the vision of this thing grows? Vít: Of course, we are always challenge to establishment [00:21:30] and to people that like to maintain the status quo. On the other hand, we are so much out of the box that it’s very difficult to deal with us. Some people are also fancy that, even the people that are part of establishment now fancy the fact that there is something completely new, there is something which is completely non-binding in a way. Even people, for example, from left that support [00:22:00] socialism and more state regulations in their countries support Liberland and they just think it’s cool to have one other place where people can go on a completely voluntary basis. Of course, we will keep on having these challenges by the establishment globally. The great idea about Liberland is very hard to fight it and the more taxes and regulations people are making around the world in other countries, the more citizen of Liberland we actually have. [00:22:30] Everything bad is good for Liberland in a way, as well. Euvie: It’s interesting. It’s like it’s an anti-fragile entity. The more chaos there is everywhere else the more people are attracted to projects like Liberland. Let’s continue talking about the potential future challenges, especially as Liberland grows. What do you see some of them being and how do you plan to mitigate for that? Vít: I think the biggest challenge is to setup our institutions in a way [00:23:00] that they can really last for centuries, or they can be adaptable but they will still respect personal freedoms. It’s a bit challenge actually. The founding fathers of the United States did a fairly good job in bringing about the most prosperous society on the planet ever. They are, of course, behind this whole social development that has growing for a couple of centuries after. Now, we can see that the United States has turned away quite far [00:23:30] from its original idea, from where it’s supposed to be. We need to build up on this experience and on their thoughts and we need to build up, again, on all the latest technologies to make sure that this doesn’t repeat again. Of course, there are all these technologies that are making freedom much more accessible to the masses now. Of course, it’s not just cryptocurrencies but also the fact that the state institutions themselves are becoming [00:24:00] one by one obsolete through all these new decentralized technologies which, of course, Liberland is embracing and it’s also pushing them forward. Mike: This is where I think the conversation starts to get a bit philosophical. When you look at the United States and the way things were originally intended and how they’ve evolved and changed over time, what kind of lessons have you pulled from that and how have you applied them in Liberland? Vít: First of all, our first draft of the constitution was really [00:24:30] a document which step by step tried to eliminate all the problems that the Republic had over the centuries. Specifically naming all the problematic points and clarifying so that they wouldn’t repeat again. That’s one of the way how to go about this. The other way we’re going now is to actually define the terms behind the constitution in a completely [00:25:00] clear way. Liberland Press has just recently – that’s a new company established in Liberland – just recently published a book [inaudible [0:25:09] for its government by Chase Holloway which goes deeply into making sure that the basic terms on which the constitution is established are clearly defined. And they cannot be changed over the course of the time. This constitution that Chase Holloway putting together [00:25:30] is one that could be, in future, used to be turned into a smart contract, which is a very important part, of course, of the puzzle. This constitution is also the one that defines, let me just put it very simply, that our goal is to maximize the freedom for the individuals in the society, the goal of this constitution. These are I think, again, the most important elements for the success [00:26:00] in the future; the constitution of Liberland is a smart contract which maximizes the freedom of citizens in Liberland. Also, it has learned all the tragical mistakes that were done by the governments in the last couple of centuries. Euvie: How do reconcile people having more freedom with them doing things that are potentially anti-social? Vít: That’s, of course, something which we always have to somehow [00:26:30] find a balance. Honestly, for us for example, it’s important to avoid any kind of punishment when there is no harmed party. It is one of those things where we don’t want to end up like the United States having our prisons filled with marijuana consumers. We don’t want this crazy drug war to be going on where there is basically no hurt party a part of the people that are consuming these drugs. We believe in Liberland that your body [00:27:00] is your position and if you’re not forcing anybody else to pay for your health insurance, it’s also your business what you’re going to do with your body. That’s one of those examples where leaving people free to do whatever they want is very important. That doesn’t mean, for example, that Liberland would become some kind of drug haven. I believe that people in Liberland will be responsible, they will not use the drugs in a way that [00:27:30] would be out of the ordinary. We believe that, again, it should be the responsibility of the citizens not of the state to control whatever people are using what kind of substances they’re using. Euvie: What about something like the extreme end of free capitalism where corporate entities can influence governmental decisions because there are no proper restrictions on that kind of thing? Are you planning to mitigate things like that? Vít: That’s a big difference between [00:28:00] Liberland and the old world. I think that’s a very good example where I can explain to you how by putting things in alignment we actually fix this problem of corruption, which is very widespread. In a regular society today, if a corporation wants to influence a policy it just sends money to the political group or politician that is in charge. And this guy who is elected just for four years has zero responsibility [00:28:30] for his actions, especially in terms of finance, just makes this decision and make himself a little bit more richer. In Liberland, the positive decisions will be made by shareholders of Liberland. If you want to change the policy of Liberland in some way or another it doesn’t make sense to bribe anybody, because the decisions will be, again, basically made by the biggest tax payers, by the biggest contributors to the country. If you want to have a bigger [00:29:00] say and you want the government to finance something, you basically have to put up the money for it and then gain shares or votes in the society so you can influence those decisions. You are basically voting with your money, you’re putting the money directly for the purpose that you want them to be spent for and you are voting. In return you are getting votes or you’re getting shareholding right that gives you vote to make that decision. [00:29:30] Instead of in the old way where you were bribing somebody, now you’re basically making it possible directly with your own money. 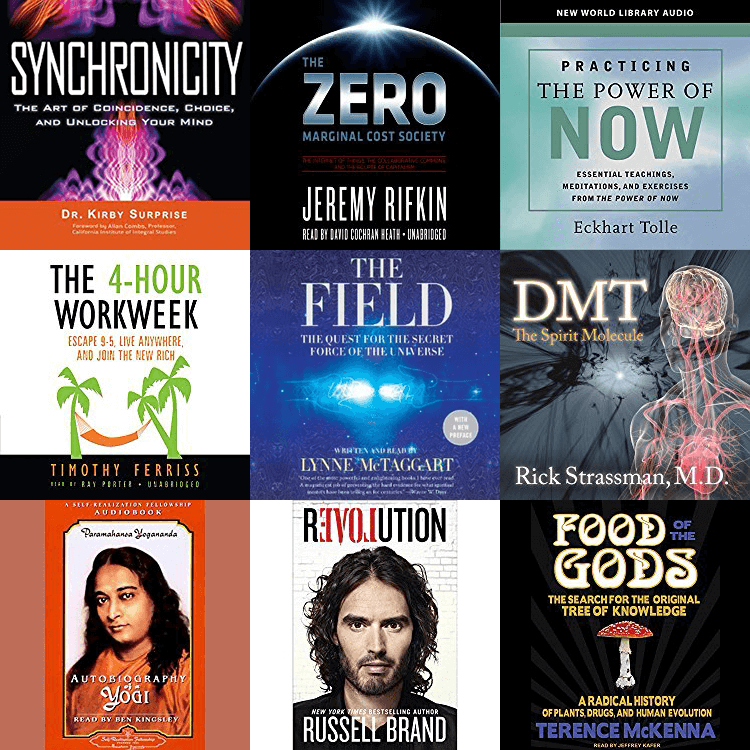 The incentives of the people that are making the decisions and people that are putting the money to make things work are completely in alignment, unlike in other societies. Euvie: Do you see that becoming problematic at any point? 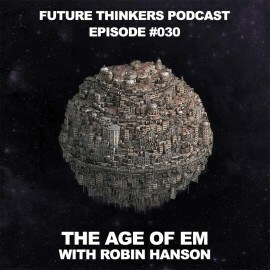 For example, if the economic incentive is aligned that makes sense, but what if there [00:30:00] are other non-economic incentives where simply having the money and the voting power is not necessarily aligned with other interests, for example, ecological interests or the interests of the happiness and wellbeing of certain groups of people. Vít: That’s where we got this democratic element that steps in. If the government or the shareholders basically make a decision that is against the will of majority, [00:30:30] then the majority of citizens can veto the decisions by the government, which I think is a very good control that nothing anti-democratic is happening. On the other hand, it’s very important to understand that majority of citizens will not have any say, apart of that negative one. The majority of citizens cannot decide that the wealthiest five percent of the society will pay more taxes. Now, positive decisions can be only made [00:31:00] by the shareholders. This combination of basically these elements of dowel, elements of Republic, and a little bit of democracy where the democratic majority can veto the decisions is a very good model for the future. We are actually adding one more element, which I believe is the future as well, and that is a decentralized justice system. We want to have a smart contract which, if some Liberlander [00:31:30] will sue other Liberlander, we’ll create a jury of three random qualified citizens in Liberland that will be able to make decisions. One of the ways how they could resolute the dispute is that they could basically take merits from one person and give it to the other, which would deliver the justice very fast. I think that’s also one of those innovative ideas which needs to be tested and that could actually bring a lot of interest [00:32:00] in Liberland just because the justice system could be so functional and so well-working. If you appeal against the decision of these three judges that will be randomly selected from Liberlanders, you will get a jury of six Liberlanders that will make the decision, again, on a smart contract, on an Ethereum lite platform where they will get a private piece to change the balances of different merit holders in Liberland. [00:32:30] We really believe that system of justice is just, again, superior to regular justice system, which takes years to execute, which rarely compensates the party that got to be harmed. Which basically just based for a hotel for the criminal for a couple of years and the guy just gets out of the jail and doesn’t really learn a lesson in the sense that he would be returning [00:33:00] the energy or would compensate the damage of the cause that he actually created. Euvie: Can you summarize just in short what that would look like, this judicial system? If they decide that there was some criminal act happening then they will actually make the decision that one person should compensate the other, [00:34:00] maybe return the thing that he stole and pay him some money. If this person rejects, he can lose his merits with Liberland. Going all the way to actually people having minus balances in Liberland jurisdiction, basically becoming a wanted criminal for their actions. If you don’t like the decision of this decentralized court system, you can appeal easily within some time limit [00:34:30] and you can take it to the higher level. That means six people, the same Liberlanders randomly generated by a smart contract will make a decision about the future. If you appeal again, 12 different people will make the decision. That should probably be the final decision. A three-level decentralized court system completely independent of the government of Liberland, [00:35:00] which is I think a very nice goal to have the powers in Liberland completely separated. Euvie: Have you or anybody else tried running trials of the system, and how did that go? Vít: Well, [inaudible [0:35:12] is already testing and that’s why we have them as partners. We already have a bunch of lawyers codifying it properly and making it more compatible with the existing legal systems. I think in theory, it’s going to work pretty well. We will actually test it once more before [00:35:30] making it as a smart contract on a database like system. So far, to be honest, we are actually already using it but let’s say the decisions are a bit more centralized. If somebody steals money from Liberland, we just put the evidence together and we take away people’s merits if they have any. If they don’t have any, we just basically notify in the red numbers, in minus, and we’ve got people that have stolen or some other way [00:36:00] have basically damaged Liberland internally. It’s working pretty well. I can tell you, I got one person returning all the money that he stole from Liberland and putting up an extra $10,000 in order to compensate all the damage that he has created by stealing a boat two years ago. The system itself works quite fine now and it’s kind of already tested. What it does it actually really motivates people [00:36:30] to fix the damage and compensate for the cause that they have created. Instead of putting them in jail, it gives them a time to work back and try to fix whatever they have damaged. If they don’t, their reputation with Liberland is damaged. Of course, their ability to enter into contracts with other people is damaged, as well. They can also fix it very fast. Not my going to jail and not doing anything for a couple of years, but simply by [00:37:00] working it out and fixing the problem itself. Mike: Seems like your feedback mechanisms have been really sped up. This whole idea is brilliant. The thing that exists me about this project the most is the fact that it’s so new and it’s so interesting and such a big opportunity that you’re most likely going to be attracting the smartest minds and the best projects from all over the world. You’re going to be the central focal point for development, especially in this emerging blockchain space. 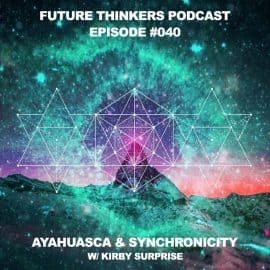 [00:37:30] I’m curious what kind of other partnerships you’ve actually had, which one’s are developing, and which ones you could see yourself needing in the next couple years? Vít: On multiple levels we do have some contacts with consensus, which is a critical partner and I’ve told you that already we’re working with uPort. They’re also working on some governance models, as well as we’ve got one of their former directors on the board of advisors. I’m happy that people like Brooke Pierce also became our advisor, [00:38:00] people like Roger [inaudible [0:38:01] for example are helping us from [inaudible [0:38:04] off Liberland. Euvie: What about the types of partnerships that you might need go forward that you don’t have yet? Vít: Of course, we are more than happy to work with other partners that are in this space, especially in the smart contract arena. We were just invited for this private round of meetings in Denver, [00:38:30] in the United States, happening in three weeks where all people that are working something in the area of the new decentralized governance for states are going to be present. We’ll be presenting there, as well. It’s a very exciting field to be in these days because there is so much innovation, which wasn’t there for centuries. Let’s be honest, we’ve done so much innovation in all these areas of human development, we’ve sent people to the moon, but we haven’t really done [00:39:00] any progress in terms of the governance of the society. We are still running on principles that maybe were very good a couple of centuries ago but now are broken and they need some upgrades. That’s exactly where we see we can bring a lot of benefit to the society. Mike: What is most exciting to you about the future from your perspective? 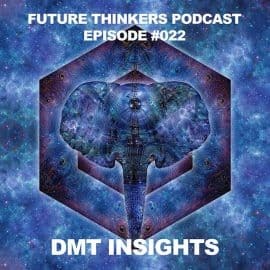 Vít: The most exciting is that the best way how to predict the future is to create it, [00:39:30] this is an important thing for people to do in their life, right? To start to create their own future, and this is what we have also done at some point. We’ve realized – not just me but also a bunch of friends around me – that in order to change anything about political systems we basically have to create a new one and basically be a good example for the rest of the society or the rest of the political systems. That is very exciting. Also, the exciting thing is that [00:40:00] we can rely on the fact that if we make things right, and we just work a little hard on making them reality, we can be very much sure that they will prevail and they will simply outrun the other systems. We don’t need to fight with the existing systems, we just need to really create new ones. Bitcoin is a great example of that. It is an example where it completely decentralized new type of cryptocurrency is going to take over not just central banking [00:40:30] but also regular banking world because it provides much more transparency, honesty, and 100 other advantages which national currencies simply cannot compete with. Euvie: I wanted to ask something on the other end of the spectrum. A couple of days ago there was a Twitter thread that went viral. The essence of it was that computer science and the technologies built on top of it have not yet its moment of reckoning where something happens as a result of the lack of foresight of the [00:41:00] scientists who have created it that creates completely catastrophic consequences. Physics had its moment of reckoning with the atomic bomb, and with biology we’ve had engineered viruses and things like. How are you mitigating, in the way that you’re creating this, how are you mitigating for those unknown unknowns? Mike: Such challenging questions Euvie. Vít: We’re creating Liberland actually in order to mitigate [inaudible [0:41:27] because, of course, all these decentralized [00:41:30] technologies can also be used in a completely different way and all these state ranking mechanisms can be used in a different way to turn the planet into one big police state, which is something which we are completely not in favour of. China is already pushing that, right, the are having their social rankings score how could follower of Chinese political policies you are. I think other countries will soon to follow. [00:42:00] Liberland is here just to offer an alternative, use these technologies in the best possible way to bring more freedom, not more police state. You’re completely right, there is a big chance that many of these systems will be used to bring about more state power instead of getting rid of it. But I’m very optimistic about the development with new technologies every single day that the state cannot compete with. Mike: I think this has been [00:42:30] so interesting. I just really love that it sets an example for other governments and systems. We’re finally, like you said, innovating in the political spectrums. Euvie: Yeah, I love the aspect of electivism in something like this, where people can actually choose which government and which jurisdiction they go under for their business or for legal things. I hope that in the future we will see more independent states like this that [00:43:00] give people an alternative and a choice other than the place where they were born into and the place that is actually designed to foster innovation or liberty or any of these other values. There could be different states that are based on different values and people can choose from a menu. I really look forward to that future. Mike: How can people get involved if they want to become a citizen or help you out or anything like that? Vít: Of course, it’s easy to apply for citizenship, it just takes five minutes online. It’s a fast track. [00:43:30] If then people are serious about getting it, one thing is applying and the other thing is getting in. They have to get somehow involved to help us move forward, where you basically get 5,000 Merits in exchange for $5,000 or equivalent in any cryptocurrency and basically get this basic package of Merits locked in our jurisdiction and also become citizens. I believe that once we run our own systems we can pretty much follow the success [00:44:00] story of [inaudible [0:44:01] but have a sovereign country on top of this. Mike: I see this being such a popular option for digital nomads in the future. The whole Estonian e-residency thing was quite interesting. But if people can look at a different citizenship, especially Americans actually, giving up their old citizenship if it means that they can adopt the Liberland one and travel around with it. That’s a pretty fantastic thing. How many citizens [00:44:30] do you actually have right now with passports? Vít: The passports were given only to our diplomats, that’s around 100 people. But we’ve got roughly 500 citizens right now and it’s growing every single day now with people basically helping us in different ways internally and, of course, also financially. I cannot complain about the development. Fur us, we’re not trying to get all half a million people on board. [00:45:00] We’re trying to basically systematically get the people that are most interested in pushing Liberland forward on board, and the probably later we will develop some more automated systems. In a way, it’s nice to keep it still a big family size, so that it’s more of a community right now, which has got a lot of supporters around it but we still keep the community spirit. Mike: What are the responsibilities of diplomats of Liberland? Vít: [00:45:30] Those are different people that are promoting our interests with other governments. As I told you, we’ve got a present set of offices now in almost 100 countries. I’m very pleased that, for example, our secretary of state, [inaudible [0:45:43], is also representative of Queen Elizabeth. We’ve got very hire ranking diplomats on many different levels of our new consul general, [inaudible [0:45:56] is also a regular consul general. [inaudible [0:45:59] [00:46:00] in the United Kingdom. It’s a very exciting diplomatic network that we are creating. Those are people that are responsible for getting Liberland recognized and for maintaining a community in their own countries. Liberlanders in all countries in the world, people that apply for citizenship, and we need to make sure that we’ve got good and responsible people in each one of them that can take care of the diaspora that we have created. Euvie: Thank you so much for joining us on the show, [00:46:30] this has been fascinating. Vít: Thank you very much, again, it was great to talk to you. Today on the show we have Vít Jedlička, a Czech politician, publicist and activist. Vít is the founder and president of the self-declared libertarian micronation – the Free Republic of Liberland. The country was proclaimed in 2015 on seven square kilometers of unclaimed land along the Croatian and Serbian border. 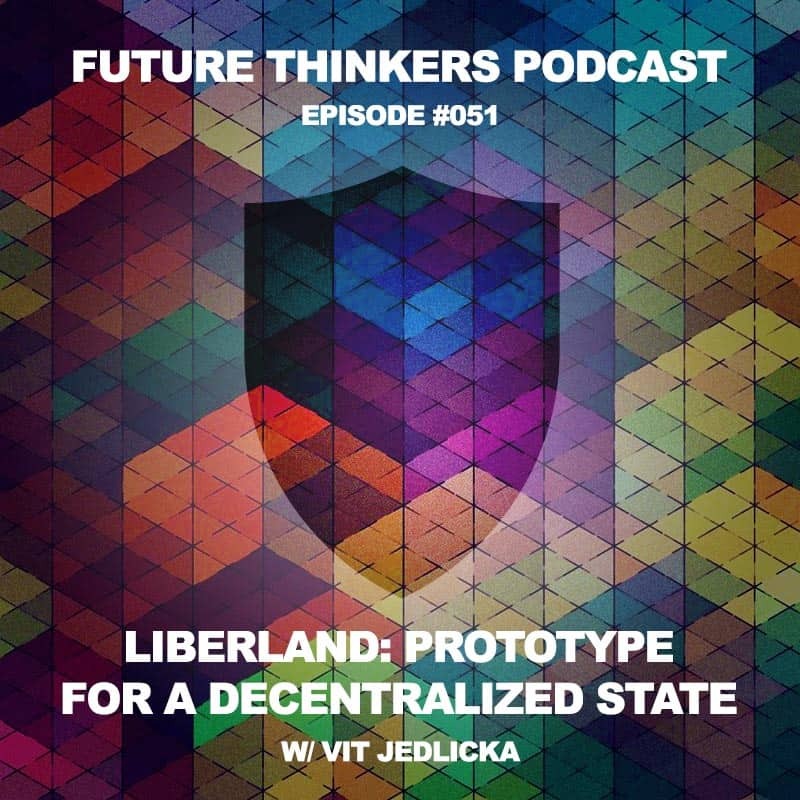 In this episode, Vít talks about the creation and functioning of Liberland, its governing and monetary model, and plans for the future. 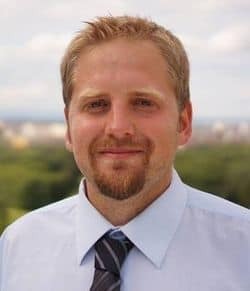 The formal structure of the Liberland state combines the best functioning parts of the republic and democracy – a strict set of rules of what the state can govern, and a possibility for citizens to veto the decisions made by the government. This way, the interference of government would be minimized and the state would provide the maximum freedom to its citizens. A decentralized justice system that doesn’t have the concept of a jail is another innovation Vít emphasizes. A randomly assigned jury of qualified citizens would resolve disputes by distributing Merits from one party to another. As Vít explains, the most innovative concept that Liberland has introduced is a voluntary taxation system. Citizens who decide to pay taxes become shareholders of the country. With an autonomous blockchain system and a monetary unit called Merits, Liberland is envisioned to be the first crypto country and the first decentralized autonomous government in the world. Liberland currently has around 500 citizens and 100 representative offices around the world. It has already been recognized by several countries and it has issued several passports to its diplomats. According to Vit, the main challenge is to set up institutions that would last for a long time, even for centuries. In order to do that, it is important to learn from the mistakes of other countries and design decentralized technologies that make freedom more accessible to the masses. Vít says that the best way to predict future is to create it. He argues that in order to change anything about political systems, we have to create a new one. If this system is designed well, it would naturally win over the existing ones. In terms of physical presence, Liberland is looking into many possibilities around the world where their communities can develop and expand. What are the advantages of a voluntary taxation system? Why is a decentralized justice system more efficient than the traditional one?